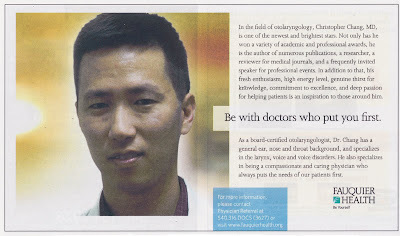 Well, to be more accurate, Fauquier Hospital used Dr. Chang as advertisement for its "Be Yourself" campaign. Other physicians have been portrayed in a similar fashion. This ad appeared in the September 2009 Discover Fauquier's Values publication.